I had decided to make my own lines of tools, start from diorama building tools. 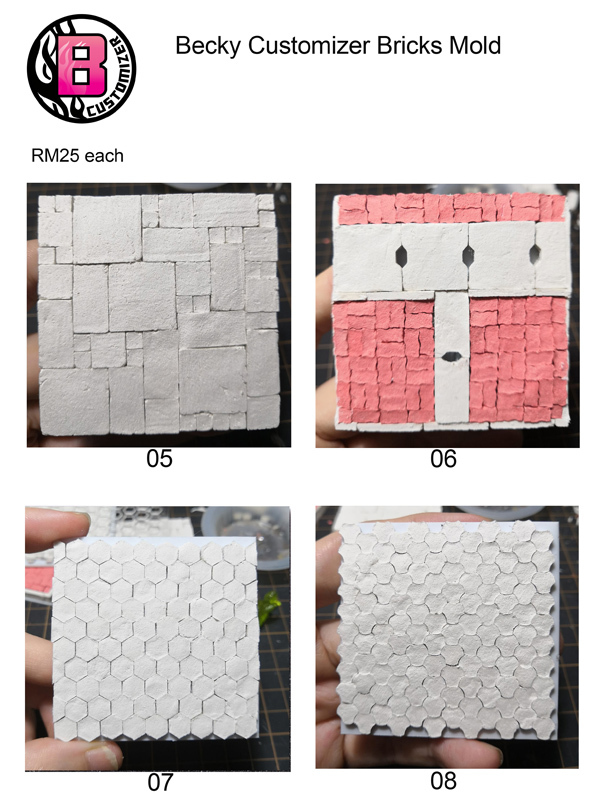 Here are the 8 design of bricks mold which was launched in the end of December 2018. 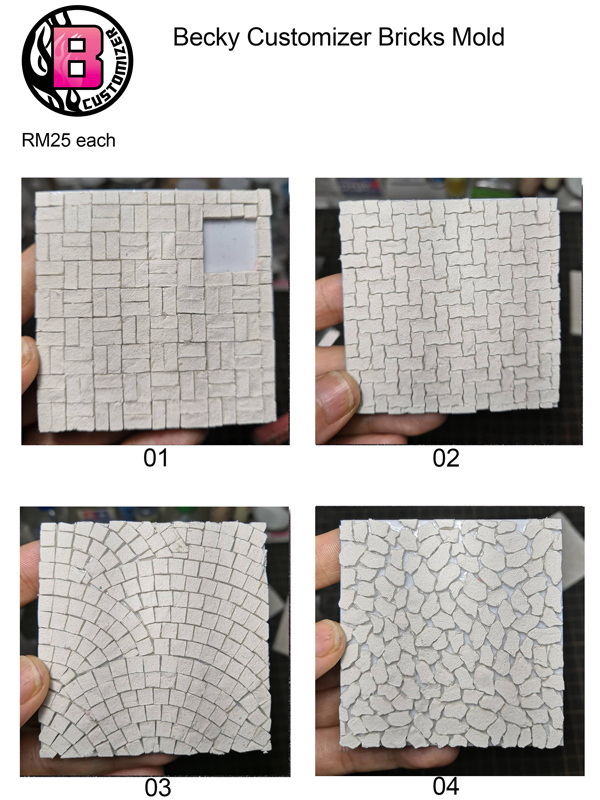 It is mold which use for casting bricks, to make debris or even to lay as wall or pavement, all in 1/35 scale. 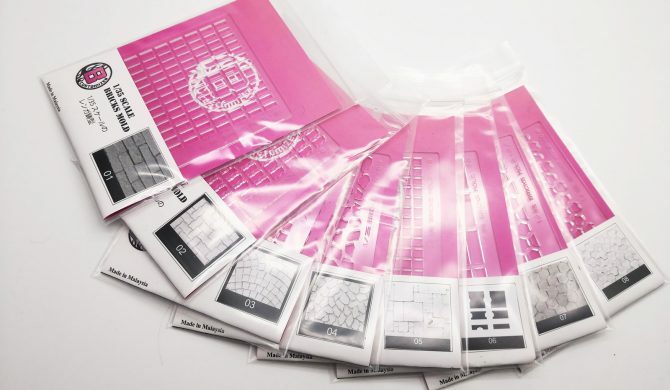 The packaging, I use my logo colors and use a zip lock bag, so that it can be re-use and for safe keeping. 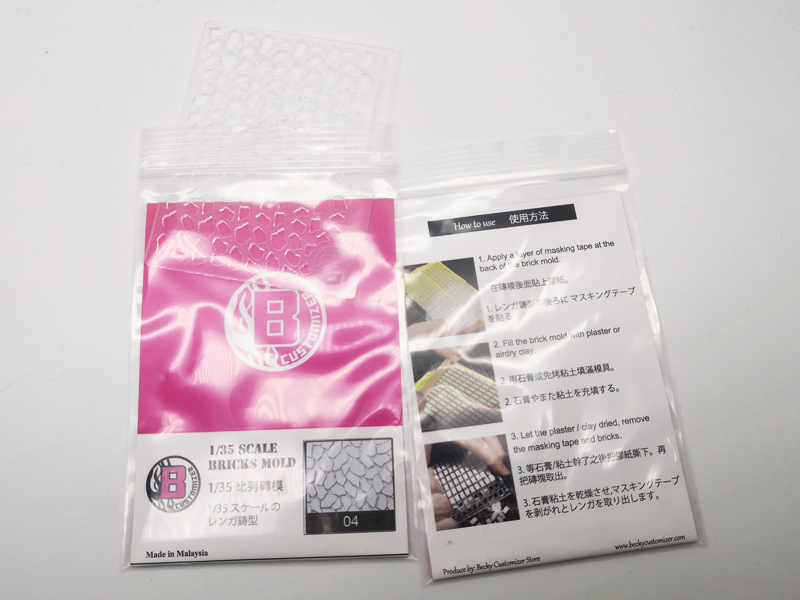 It come with instructions on how to use, come in English and Japanese, and Chinese was added later. 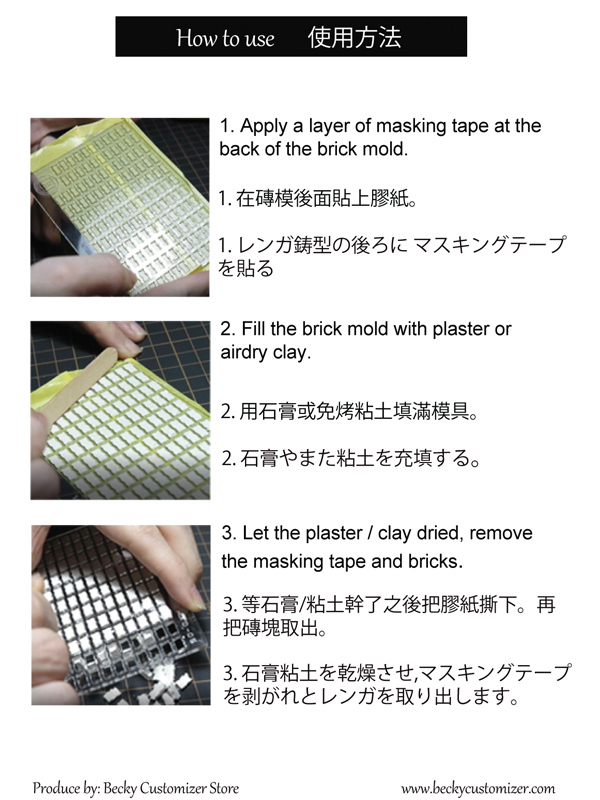 Here is the video on how to use the bricks mold.